Powers Against Common Threats (PACT) is an inter-organizational initiative developed to provide security against piracy, hostile aliens and any other force that might overwhelm a solitary member. 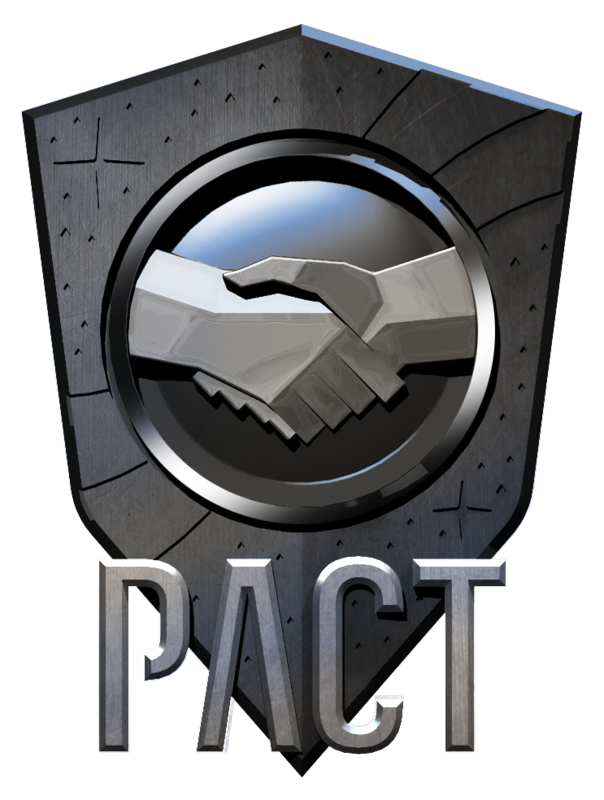 Today PACT encompasses a group of organizations that together represent a significant population of Star Citizens and continues to grow, with new organizations joining every month. All organizations who meet the entry requirements are welcome to apply for membership. Our commitment to maintain an equality of membership insures that the status of the Founding Members are no different than any other Signatory as set out in the PACT Initiative Agreement. All member organizations are afforded the same rights and privileges, regardless of membership date or available resources. The current PACT Administrator is Ephraim Tannhauser, Representative of the Systems United Navy. Inquiries regarding PACT can be addressed to: powers.against.common.threats@gmail.com. Read the Welcome Letter from the PACT Administator.